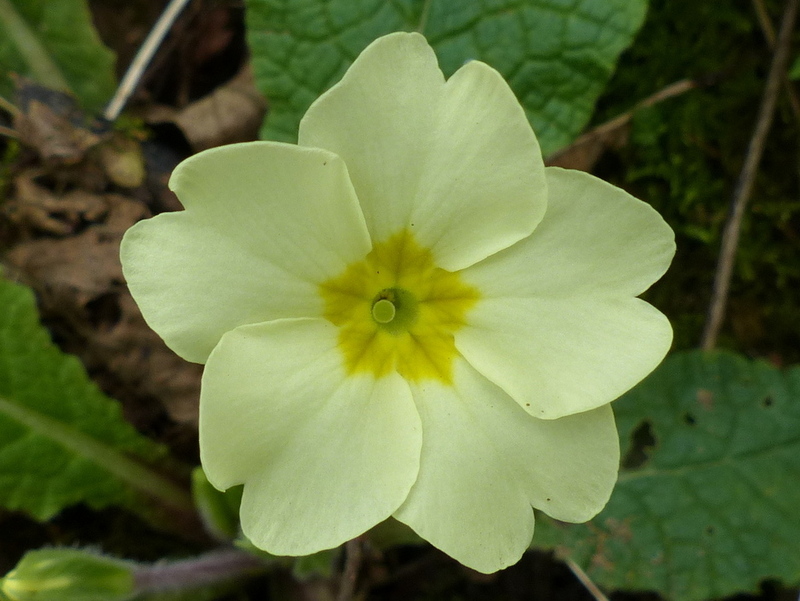 The Primrose doesn’t really need to be in an identification guide. 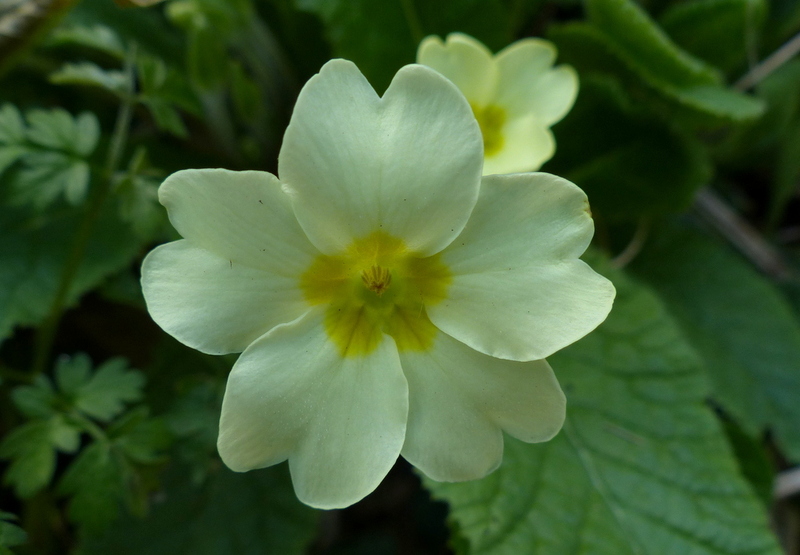 Everybody recognises this flower. 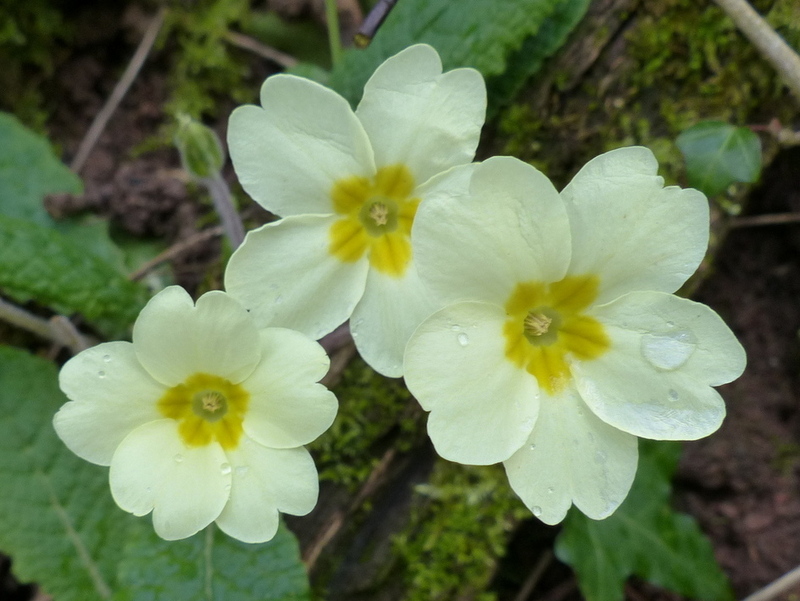 In this article I will assume that you can recognise a Primrose and tell you some interesting things about this flower instead. 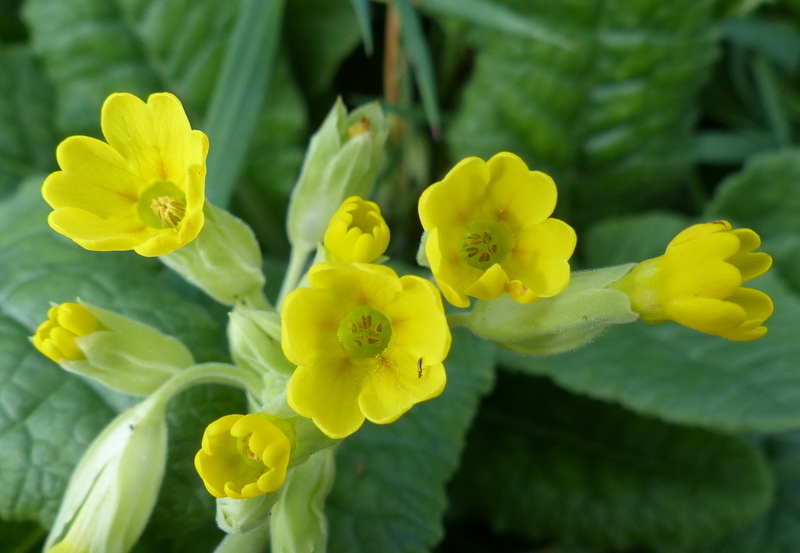 The flowers are borne singly on a short hairy stem. 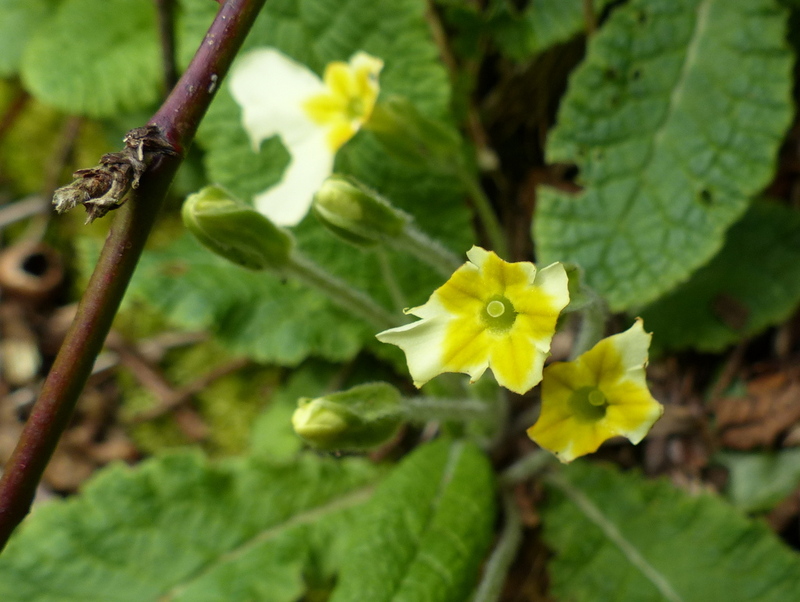 The Leaves form a basal rosette, they are wrinkled with an irregular toothed edge. Now this is where it gets interesting. 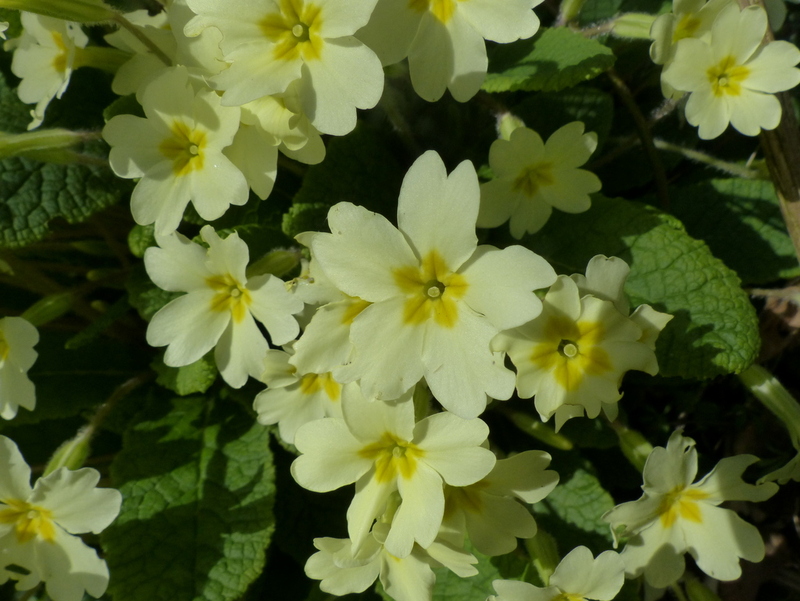 Primroses are hermaphrodite, each flower has male and female parts but the flower has a sexual preference. 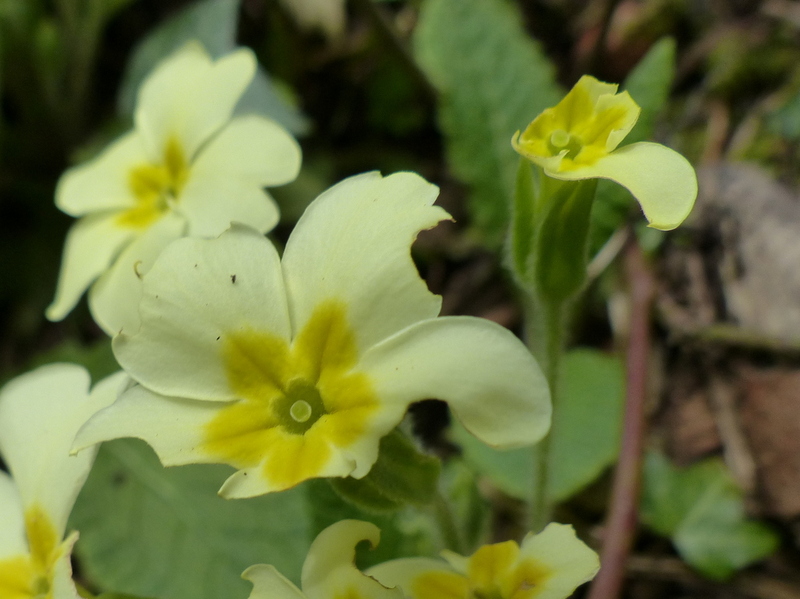 Either the male or female parts take the lead and you do get different male and female plants. 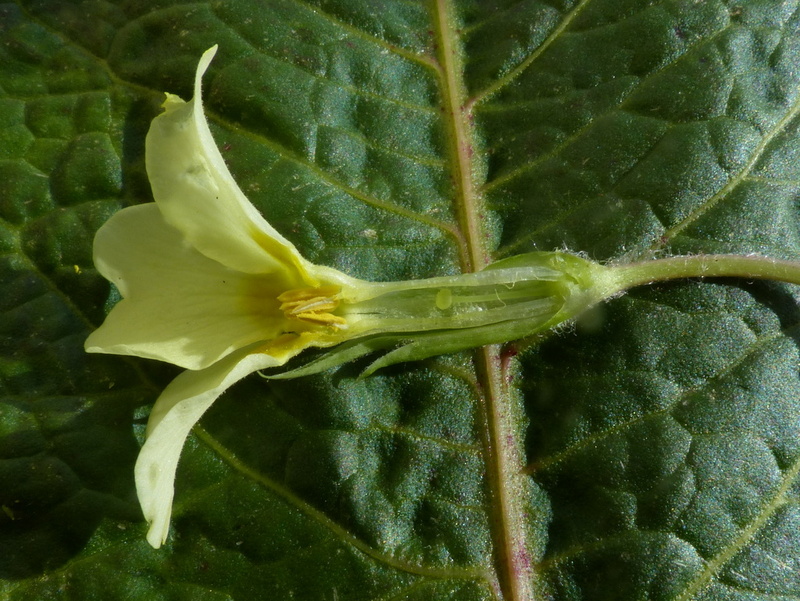 The female plant bears “pin” flowers. All of the flowers on this plant will be female or pins. 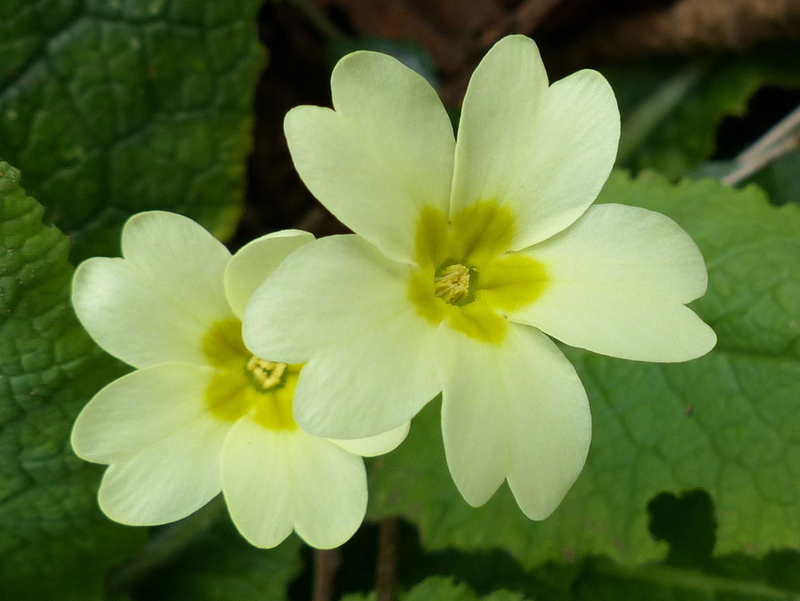 A pin flower contains both a style (F) and stamens (M) but the style is much longer than the stamens and is the part presented to the world. 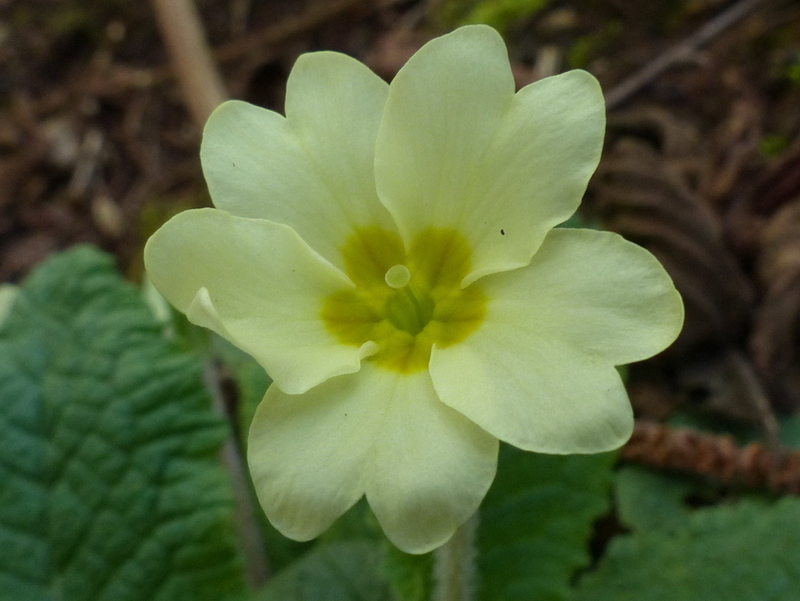 If we look inside of a pin flower we can see the relatively small stamens below the style. 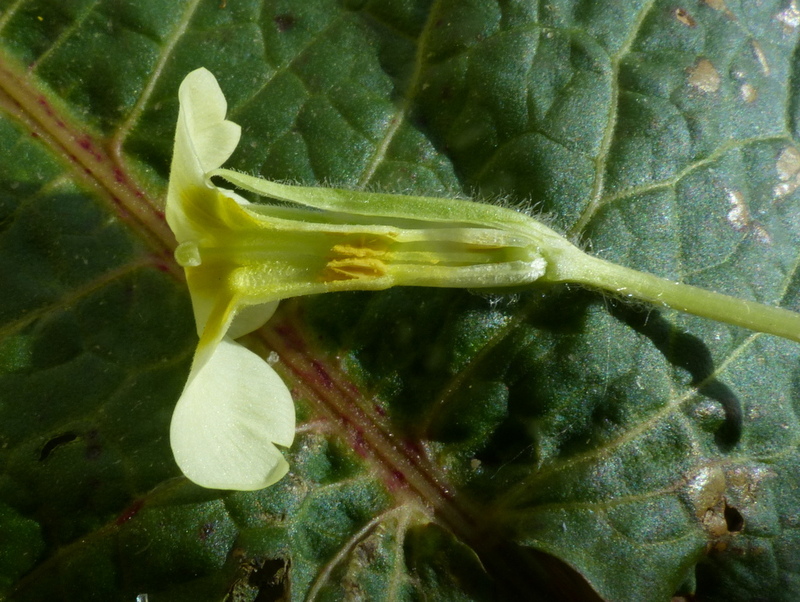 The male flower is called a “thrumb” and this time we can see that the stamens are much longer and the style is reduced to sit at the base of the flower. 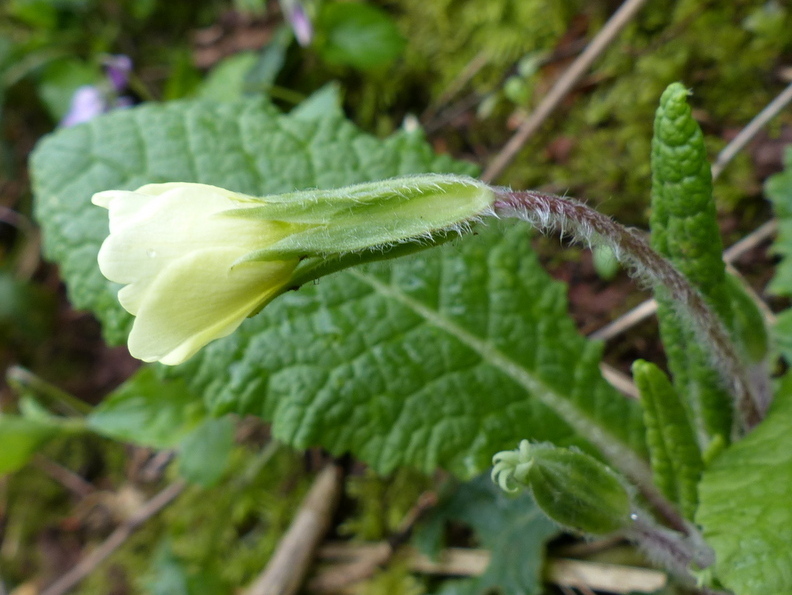 Despite containing both male and female parts fertilisation can only take place between a pin and a thrumb. Pin to pin or thrumb to thrumb doesn’t work. 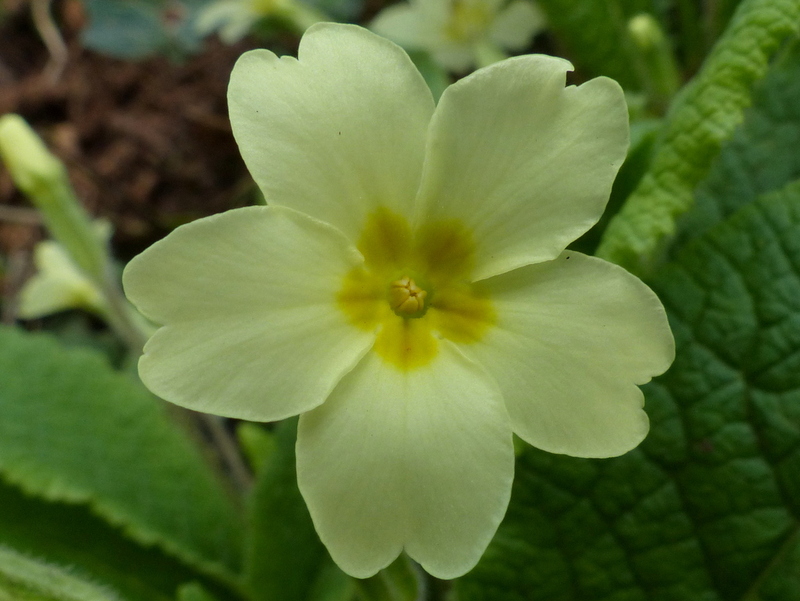 The Primrose is one of our earliest flowers, the name comes from the Latin Prima Rosa meaning first rose (although it is not related to the rose). 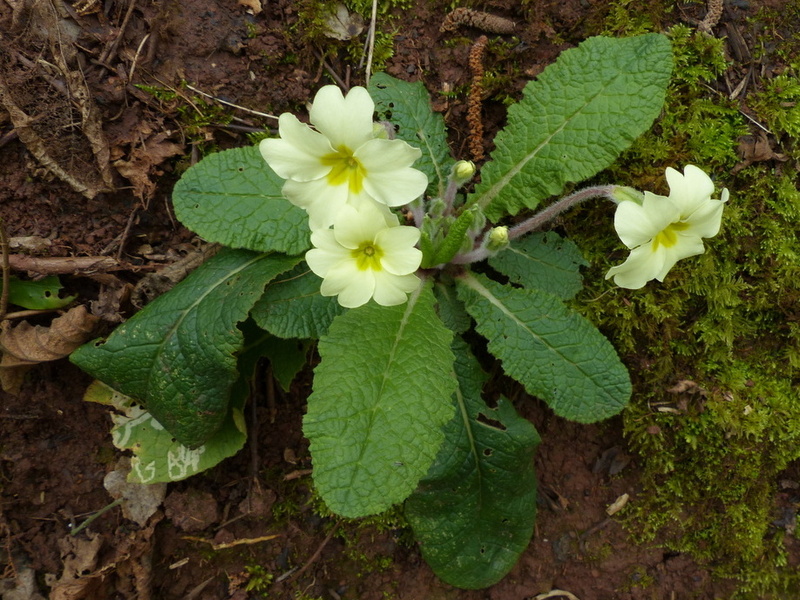 They started appearing here in the middle of February and lasted until almost the end of May. 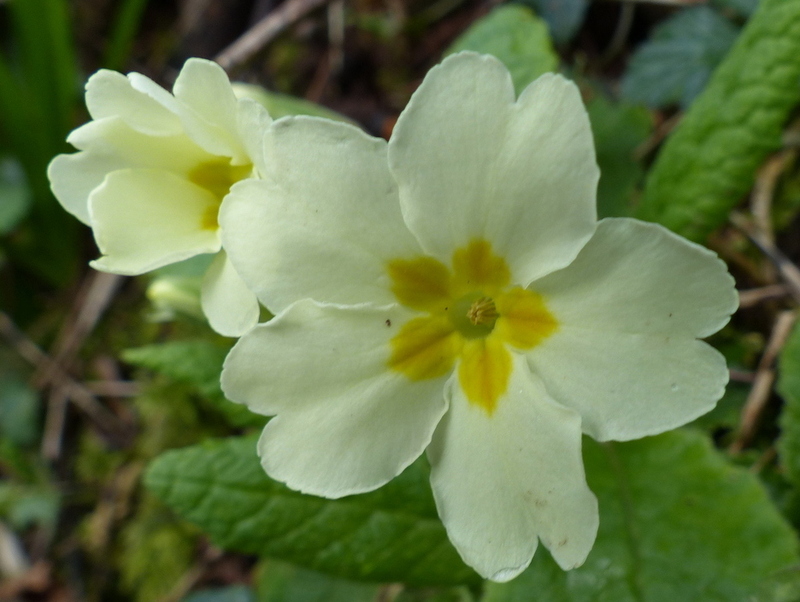 Primroses like semi shade and they grow well in woodland and on wooded tracks. 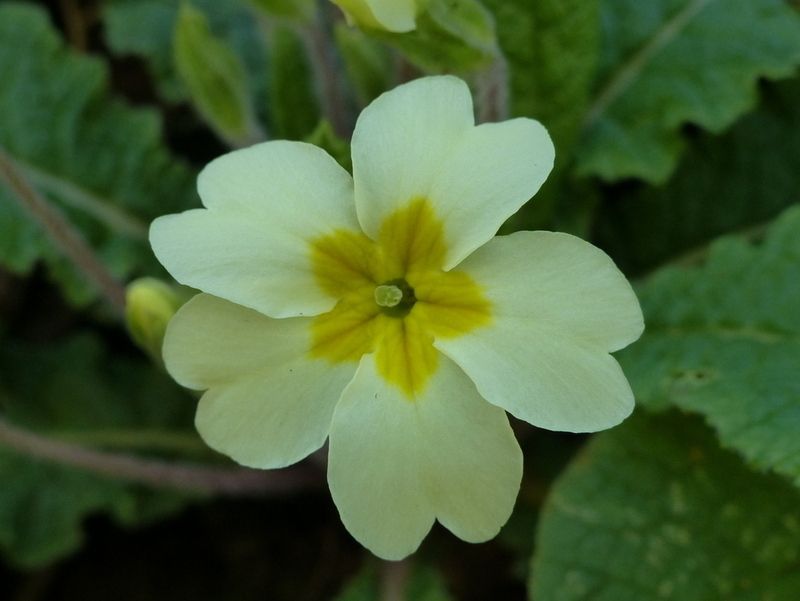 They can easily fall prey to mice, who seem to like the pastel bit of the petal but turn their noses up at the dark centre. They also fall prey to me. 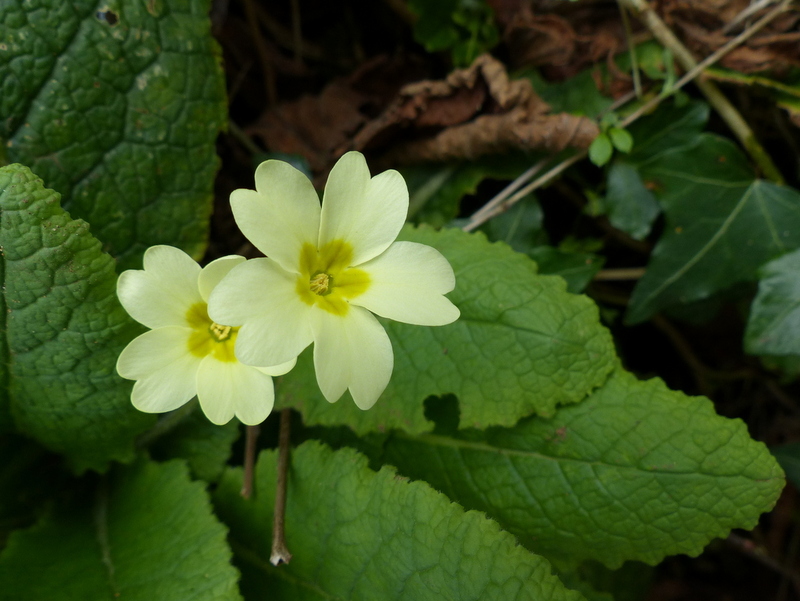 Both the flowers and the leaves are edible. 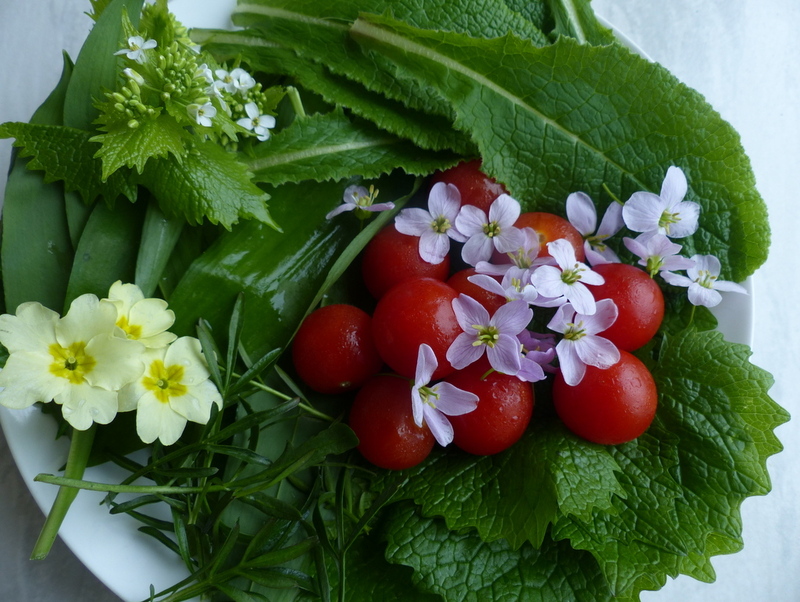 I use the leaves to add a bit of crunch to a salad. 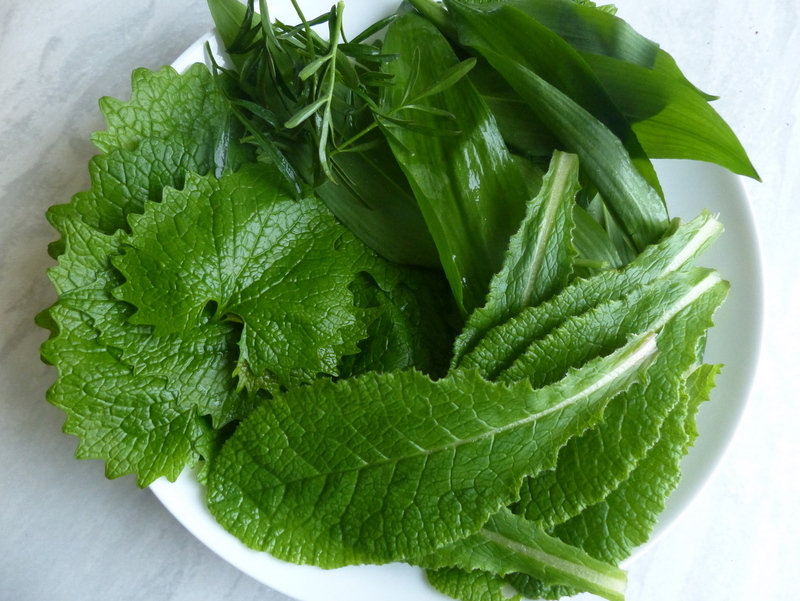 They are not the tastiest leaves about at this time of year but they add nice texture. I use the flowers for decoration. 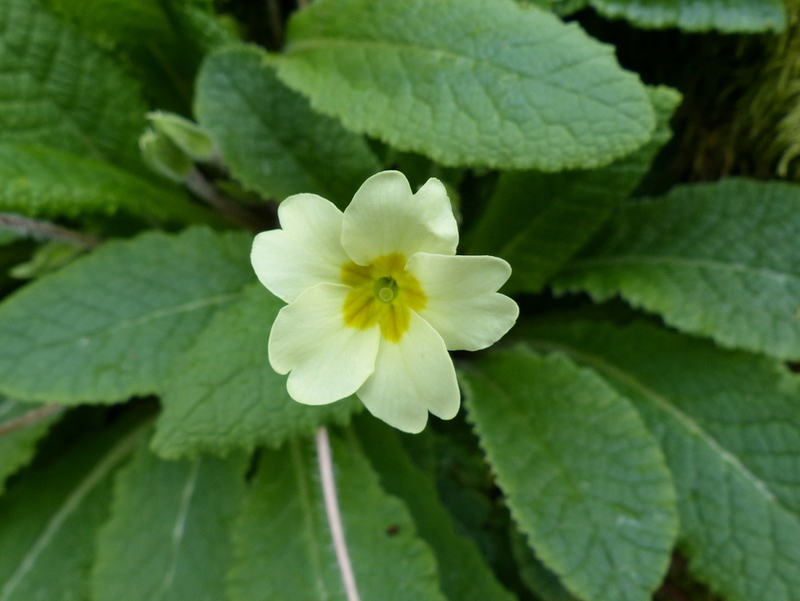 The primrose is very closely related to the Cowslip, Primula veris and the two plants can hybridize.